Today I have this 13" Fall home decor piece to share. It uses 7 Gypsies' fabulous new black photo tray. I had fun creating each of the 4" x 6" panels with Basic Grey's new Pyrus Fall themed papers and glittered chipboard pieces, along with a pumpkin and falling leaf ... I can't wait for the days to cool down and to see the changing colors of the season! I hope you'll join me in the CLASSroom for some tips on how to create this fun scrappy project that can also hold treasured family photos of the season! Happy Monday to you! Today, I have a card to share that was made with a beautiful new wildflower background stamp set illustrated by my sweet fellow Texan friend, Melanie Muenchinger! I would venture to say that if anyone could illustrate a gorgeous wildflower stamp, it would be Melanie since she lives near the beautiful Texas Hill Country that is famous for its wildflowers! Next, I framed the image with a Spellbinders Scalloped Edge Frame die, cut from a Raspberry Memory Box notecard. Then I put down a strip of Copic's new X-Press It Double-Sided High Tack Tape along the bottom edge of the scalloped frame and ruffled up and stuck some green ribbon to it -- so quick and easy to do, with big impact! A Spellbinders Tags Trio die was used to die cut the "Thank You" sentiment from this stamp (there are ten great sentiments in this set from which to choose! ), and then I sponged Memento Rose Bud ink onto the sentiment while the cardstock was still in the die. Lime Green Stickles accent the flower centers. Thanks for stopping by! If you'd like to see more great samples with Melanie's new stamp set, you can visit her blog, Hands, Head and Heart (she has a great tip sheet for this set there!) or view the Wild At Heart gallery for this stamp set at Stamp TV! Copic X-Press It Blending Card Winners! I'm super excited about all the new Copic stuff! Thanks for a chance to win! Oooh, I've been wondering where to buy this, a free pack would be amazing and I vow to only use it for Copic projects! Thank you for the opportunity to try the new paper. Would love to try some X-press cardstock to see how it handles the copic markers. Thanks for the chance, Sharon. Will have to get the smaller copic chart. Congratulations, everyone -- I think you will love this fantastic new cardstock! Now by SAMPLES, I meant a few pieces of this cardstock so you can try out coloring some images on it. After coloring just one image on it, I was hooked! After Rebecca's comment above about the opportunity to win a free pack, along with the graphic pack of paper I used, I can certainly see where someone could have misinterpreted what I was giving away! The graphic of the pack of paper was the only one I had and I only have some samples myself of this cardstock that was given to me at CHA (certainly not a whole pack! ), but I'm willing to share some of it! So I'm sorry for any confusion that may have caused -- it certainly was not intentional! 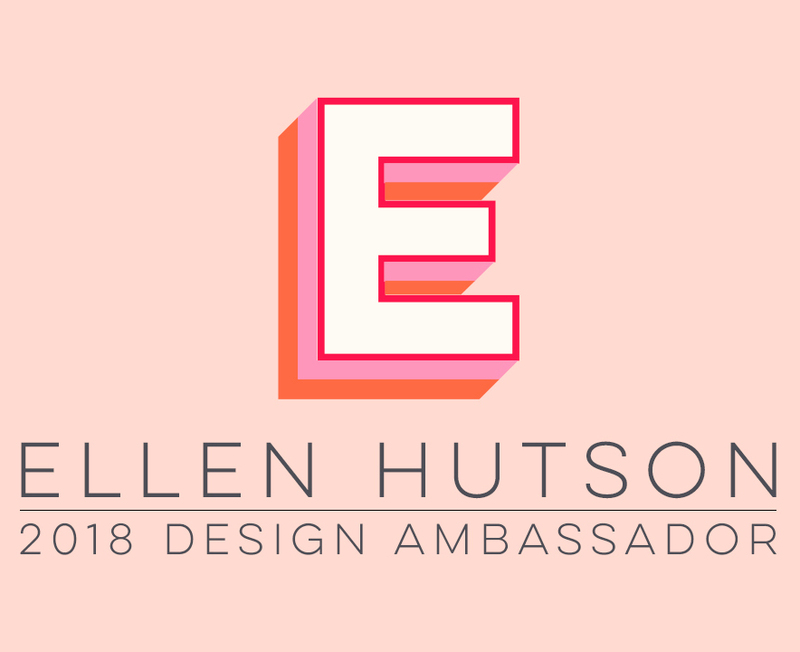 So if the winners will please email me with your mailing address and I'll get your Blending Card samples in the mail to you! I hope to be back a little later today or tomorrow with some new artwork! I used the Inchie squares and color scheme for Embellish Magazine's 2-week Embellish Squares Color Challenge that started today. You can read all about their challenge by clicking on the link above and the HUGE prize package is sponsored by Inchie Arts! To create the "Happy Halloween" sentiment, I used JustRite's Myriad Pro font and stamped it with white pigment ink onto the patterned papers. I mounted the papers onto Ellen's Craft-a-Board and then punched holes in the top and strung ribbon through them to create a hanger. I'll be back to announce the winners of my Copic X-Press It Blending Card giveaway a little later ... my afternoon got sidetracked with kiddos! Good afternoon -- I have a few Copic announcements today! First, I want to mention that I've updated my Copic Info page with the latest Certification class details, which include the new Intermediate Certification class that just opened up! This first Internediate class will be held on October 22 in Chicago and anyone who has already taken the Beginner Certification is eligible to apply. You'll find all the info and application for this first Internediate class (and all the other Beginner Certifications) HERE on the Copic site, at the bottom of the page. Also, the new pocket-sized Copic color chart is now available at Ellen Hutson LLC -- you can find it HERE. This is a checkbook-sized blank color chart that you can color with the markers you own and then carry it with you for easy project coloring reference or to remember which colors you already have when you go shopping! 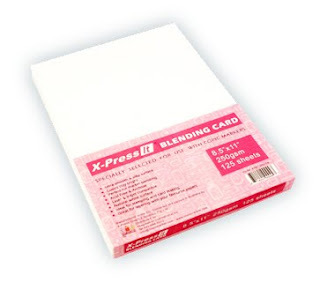 I'd also like to GIVE AWAY some samples of Copic's new X-Press It Blending Card that was introduced last month at the Summer CHA show and should be starting to hit retailers any day now. If you would like to try out this awesome new cardstock, please leave a comment on this blog post by this Friday at noon Central and I'll randomly choose four people to send some samples to and announce the winners shortly thereafter. Good luck! COMMENTS ARE NOW CLOSED ... WINNERS WILL BE ANNOUNCED SOON. THANKS FOR ENTERING! I stamped the bird images with Memento Rich Cocoa ink onto some plain white tags I purchased at the office supply store and then colored the birds as true to life as I could with Copic markers, by Googling the bird images. They are, from left to right: Hummingbird, Cardinal, Robin, and American Goldfinch. I airbrushed the backrounds of the tags with Copic B000 and then sponged the edges with Memento Desert Sand ink. Next, I created the words with JustRite's Times New Roman 25-point Uppercase Font and stamped them with Rich Cocoa ink. I hope you'll pop over to the JustRite Inspiration blog today, to see some more samples from some of the other JustRite designers! BV000, V01, V12, V15, R81, YR00, Y21, YG03, YG13, YG93, YG95, G21, G24, G40, BG000, BG11, BG72, B000, B21, B23, B32, E31, E50, C1, W1 ... LOL, more than just a few! I had quite a lot of other colors that were getting dry but had to order the refills for those and will let you know what those colors are as soon as I get them refilled. You can see my previously refilled colors on my Copic Info page. Basically, when you begin seeing streaking in your work, it’s time to refill your marker. One bottle of Various ink will refill a Ciao marker 13 times, Sketch 8-10 times, Copic Original 7-9 times, or Wide markers 5-6 times. Black, White & Pink INspiration! Today in Ellen Hutson's the CLASSroom, I'm sharing this Lockhart Roses in the Window card that uses an Inchie Arts Twinchie Square for a Spotlight Technique with Copic markers. I hope you'll join me to see how simple (and glittery!) it is! New Intermediate Copic Certification Details! Here's what you've been waiting for ... details of the new Intermediate Copic Certification Class! (Reposted from Marianne's blog)! • You cannot save a space for a friend -- they must be accepted on the same basis as everyone else. • To apply, you must prove a mastery of basic topics covered in a regular certification, as the instructors will NOT be reviewing any topics covered in a regular class. Don't feel bad if you are not accepted. Space is very limited, especially since this is the first class. We are keeping applications neutral and will not accept people simply because they are a "craft celebrity" or "a big name in crafting". We need to assure that everyone attending the class is dedicated to coloring already and driven to learning techniques that will take their work to a new level. The instructor has a lot to cover in a short time, and people who aren't confident in their techniques could slow down the whole class. There will be more Intermediate Classes as time passes, so if you don't get in the first time, don't give up! Practice all of the blending techniques, practice smooth coloring,...just practice, practice, practice! Many of the topics covered in the class have been covered over the years on Marianne’s and the other Copic designers/instructors’ blogs. The difference is having the instructor right there to help you through your tough situation. Ideally, everyone would have a chance to get the one-on-one attention that will be provided in the class, but it is very hard at first. More information will be on the Copic website once the applications go out, so please do not email Nancy with questions yet! And I've updated my Copic Info page with the latest Certification classes that have opened up, and have included a section for the new Intermediate Certification classes! Back-to-School Time and a Free Gift! Yes, it's back-to-school time already ... where did the summer go?!! Today's JustRite Friday Challenge #031 will help get you ready to meet the new teacher or scrap that precious first day of school photo! You can find all the challenge details and my full card (shown above) over at the JustRite Inspiration blog today -- I hope you'll join in the challenge, because the prizes are sponsored by Spellbinders! Also, JustRite has a free gift for you ... their 2010 Catalog & Idea Book! Simply visit their website and place an order for their catalog. During checkout, use this coupon code: IDEAS811 in the box marked promotional code and the catalog is yours absolutely free -- they will even pay the shipping for the catalog (shipping offer applies to USA only)! Coupon code expires on August 31st! Thanks for visiting today ... I hope you have a wonderful weekend! I'll still be scrambling and doing some back-to-school shoppping! Today's new JustRite Stampers introduction is for a sweet stamp set called Whimsical Christmas. I decided to use the two snowflakes from this set along with a cool technique called Faux Bleach. You can view a video tutorial on this technique at Splitcoaststampers HERE. The technique uses alcohol inks, so I used my Copic Various Ink Refills. The tutorial says to use glossy cardstock, but I used a white #8 tag. I started by clear heat embossing the snowflakes after they had been stamped with Versamark Champagne Dazzle ink -- I love that the snowflakes have a pretty, subtle shimmer to them! Then I used Copic Various Reinkers in B23, B41 & BG11 on Ranger's Alcohol Ink Applicator Tool and pounced the color all over the tag. Next, I stamped the center sentiment from the Whimsical Christmas set with Memento Tuxedo Black ink onto Neenah Natural White cardstock and die cut it with Spellbinders Classic Circle Nestabilities Sm-3 die. While the cardstock was still in the die, I airbrushed the center with Copic BG11 marker. All the die cuts were inked with Antique Linen & Black Soot Distress Inks. Some pom-pom trim and tied buttons complete this holiday tag! To see some more design team samples using this set, please visit the JustRite Inspiration blog today! JustRite Stampers is introducing another Christmas stamp set today, called Vintage Christmas. As you can see, there are four fabulous holiday icons in this 3-1/4" round set, including one of my very favorites, a vintage Santa! Next, I die cut Santa into a tag shape and added this beautiful "I Believe" sentiment from JustRite's new Christmas Nested Sentiments set. I used Memento Desert Sand ink to sponge around the edges of the tag. For the banner journaling, I used JustRite's Times New Roman Uppercase 25-point and 15-point fonts and stamped it with Memento Rhubarb Stalk ink, then just hand-trimmed it into the banner shape. The photo is cut with a Spellbinders Labels Eight die. You can see more design team samples using this stamp set over at the JustRite Inspiration blog today! JustRite Stampers is introducing this beautiful Christmas Ornament stamp set today over at the JustRite Stampers Inspiration blog. You can check over there to see some more fabulous design team samples using this set! I love that with just a change of colors I can get such different looks with this set ... I'm sure you'll be seeing many more cards from me using these stamps! I thought this pretty medallion paper matched the pattern on this ornament quite well! The ornament was then cut out and popped up on foam tape over some narrow white satin ribbon that I colored with the E41 Copic marker so it would match my cream card base. The sentiment is from JustRite's new Christmas Nested Sentiments that will make its debut later this week (but is already shipping!). I stamped it with Memento Rhubarb Stalk ink onto Neenah Natural White cardstock and die cut it with a Spellbinders Double-Ended Tag die. I accented the end of the tag with a clear crystal that I colored with my G24 Copic marker, to match the greens I used in the ornament. JustRite will be showcasing their Christmas Release II all this week on the JustRite Inspiration blog, so be sure to check in daily for some beautiful new holiday stamp sets!